So it’s mid-November, and my first term as a postgrad Arts student (English Lit MA, if you’re wondering) is speeding by. I was lucky enough to study at UoN as an undergrad, so I had a heads up on Nottingham life, but it’s still been a big change. Thankfully, a positive one! I’m doing more reading than I ever thought possible, but so far my fear of becoming a total Hallward hermit hasn’t become reality. 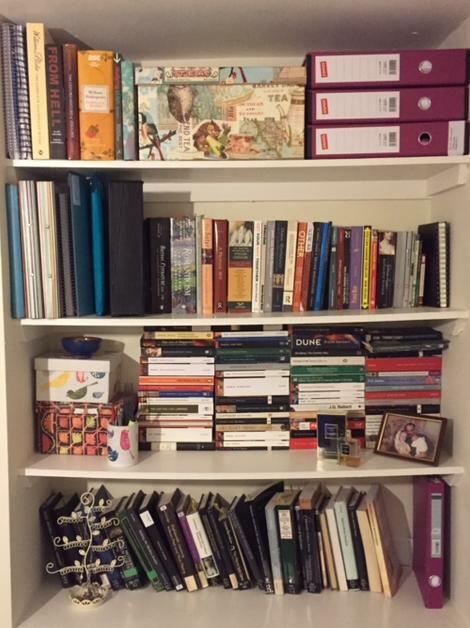 Postgrad problems: shelves buckling under the weight of many, many books. My masters is only a one-year course, so I’m determined to cram in lots of extra-curricula stuff too. On top of coursework, I’ve been doing some student journalism and have taken on a placement with the School of English to put on a showcase of student work. I did wonder if it might be more difficult to get involved as a postgrad, but it’s been really accessible so far. Now I just have to juggle it all. 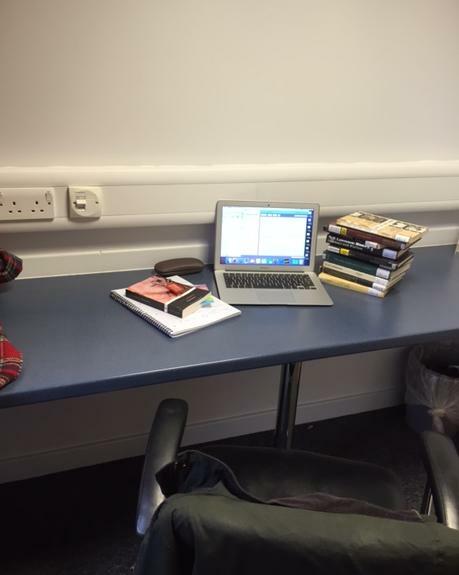 One unexpected plus of postgraduate life is being able to access new study spaces. The top floor of Highfield House, the graduate centre for Arts students, is super comfortable and has its own kitchen – I’ve finally kicked my expensive meal deal habit! And of course, the ultimate postgrad perk is being able to book a private study room in Hallward. If you find your motivation wobbling a bit on winter mornings, these are great because the pressure of booking them/knowing you have to collect the key is more than enough to get you to campus. Two plugs, complete silence and my own bin – luxury. Of course, it’s hard work, but I feel like I’m reaping plenty of benefits. My ability to motivate and plan my own work has really improved. You do need to be very self-driven as a postgrad Arts student, but this is a trait that really impresses employers so it’s well worth developing. Plus, it’s great studying with a cohort of people who are so dedicated to their subject they’ve decided to pursue it beyond their first degree. Getting to do all this on a beautiful campus isn’t bad, either! Nicole Jones is studying MA English Literature in the Faculty of Arts. Come along to our Faculty of Arts open day to learn more about our extensive range of masters and research courses available at The University of Nottingham. The day will include talks on how to find funding, support and skills development and how to write an excellent postgraduate application. In the afternoon you can attend specialist talks on all the different courses and subject areas in the Faculty of Arts. You can find out more about being a postgraduate student at our support services fair with representatives from the University’s Graduate School, Careers and Employability Service and many more. You can also join campus tours and postgraduate accommodation viewings.